This year, the Summer of Wonder program has teamed up with the Rosenbach Museum to offer family-friendly fun for the whole season! The Rosenbach is a quirky little place located near Rittenhouse Square. In the 1940s and 50s, it was the home of brothers Abraham and Philip Rosenbach, who were crazy about collecting things—especially books and letters. After their deaths, their home was turned into a museum so that people in Philadelphia could come see all that the brothers assembled over the years. Because of their collection interests, it probably won’t surprise you to learn that the brothers Rosenbach loved to read. In fact, I think it's safe to say that they would've been excited about their collection being included in the Free Library's Summer of Wonder fun! One of Abraham Rosenbach’s favorite fictional characters was the detective Sherlock Holmes. Abraham collected all sorts of things related to the Sherlock series of books and their author, Sir Arthur Conan Doyle. 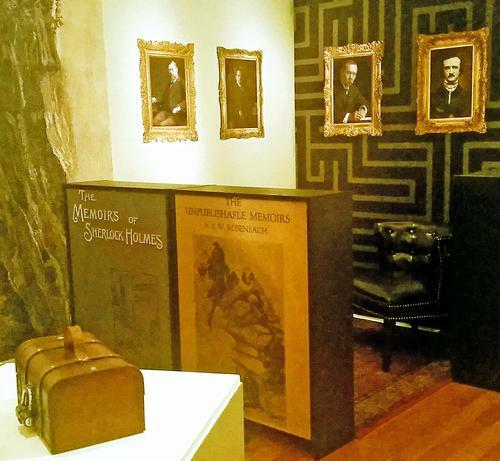 That's why the Rosenbach decided to organize an exhibition featuring Holmes and detective materials that Abraham collected. We invite you and your family to come visit us this summer to check out this special exhibition, on display for a limited time only. You’ll even get the chance to test your sleuthing skills by solving mysteries and puzzles while you’re here. We’ve got activities for adult and junior detectives! You can also check out the brothers’ home in all its glitzy, historic splendor. The adults in your group can chat with our guides during a tour of the house, while the kids can take a scavenger hunt. And to sweeten the deal even more, we’re offering free admission to summer readers all summer long! Just print out this family pass and bring it with you to the Rosenbach and you'll receive free admission for your entire family. The Rosenbach is located at 2008 Delancey Place in Philadelphia. Visit our website at rosenbach.org for more information or give us a call at 215-732-1600. We hope to see you very soon! The We the Detectives exhibition at the Rosenbach Museum. Children can be junior detectives as part of the Rosenbach's We the Detectives (credit Mark Garvin). 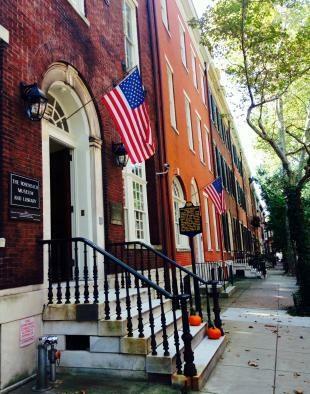 The Rosenbach, located near Rittenhouse Square, was once the home of Abraham and Philip Rosenbach. 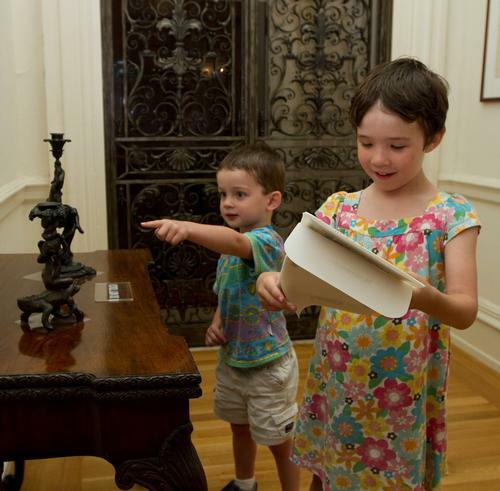 Add a Comment to Free Rosenbach Museum Admission for Summer of Wonder Participants!